$157.95 - VSS6-RS-S5... 6 inch Vacu Stack with factory installed RS-Rain Shield and 1/2 inch spark arrestor mesh. Shipping Included. $178.99 - VSS8-RS-S5... 8 inch Vacu Stack with factory installed RS-Rain Shield and 1/2 inch spark arrestor mesh. Shipping Included. 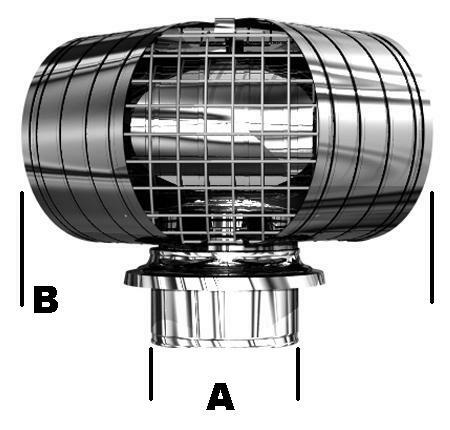 Above are options to fit the 2 most common metal flue pipes. Please call us to order any other size. Single wall, liners and Class A insulated flue pipe need to be measured by its INSIDE measurement. Typically... newer standard size insulated flue pipe will have a 1" thick wall. Older insulated flue pipes will vary in their outer measurements. Measure and give us a call if you would like help sizing for a Vacu Stack. Factory installed Rain Shield fully covers past outer flue pipe to help protect against any water leakage between pipe and VacuStack. Smoke flowing back into living areas rather than up and out the chimney can occur for a number of reasons. The backpuffing smoke signals that one or more factors may be affecting performance. 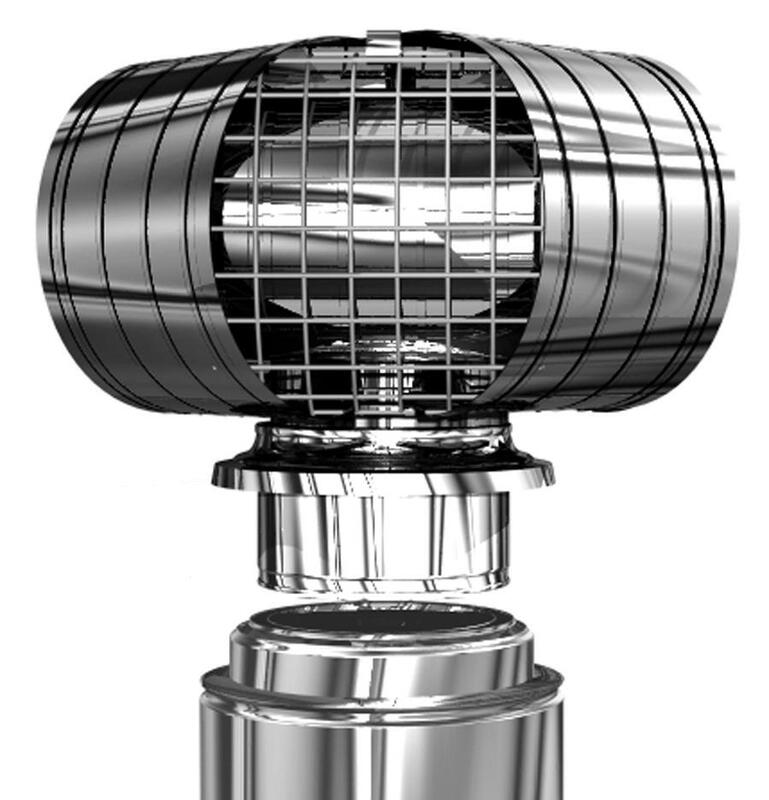 Dynamic wind loading may occur in buildings when the wind causes negative air pressure. Negative air pressure and consequent tell-tale backpuffing may be particularly noticeable when a door or window is opened on a side of the building other than the windward side. To restore normal pressure in the building, make up air is apt to enter via the chimney and down into the living area. If the appliance is operating, smoke is then carried into the room. This can be remedied by cracking open a window on the windward side of the house and closing windows on the other sides. The windward side is the side the wind strikes. A Vacu-Stack is recommended as a partial solution to this problem as well. Wind Loading on a multi-story building is another common cause of smoke and backpuffing. As the wind flows against the second story vertical wall, a high pressure zone develops at the chimney top. Although a Vacu-Stack is not guaranteed as solution to this problem, field reports show satisfactory results in more than 50 percent of the installations. The occurrence of smoke and backpuffing when air is calm may be caused by a number of structural factors that relate to the heating system. The chimney may be too short or the flue opening may be too large or small for the heating appliances. Smoke may also occur if the chimney is blocked with soot, creosote or debris. In a relatively air-tight house, negative pressure problems can be caused by appliances that exhaust the inside air, such as cooking ranges, exhaust fans, a clothes dryer vent, furnaces or other devices. Your individual chimney problem may be the result of a variety of factors. 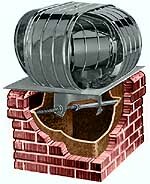 How Important Is The Connection Between Stove And Chimney? The dimension and the seal of the stove pipe to the chimney also influences performance. Specifically, the pipe size, number of turns and length of the pipe can affect the draft. The location of the home with respect to hills, high trees or adjacent buildings can cause problems with downdrafts. Sometimes starting a fire or keeping one going is difficult in an airtight house. 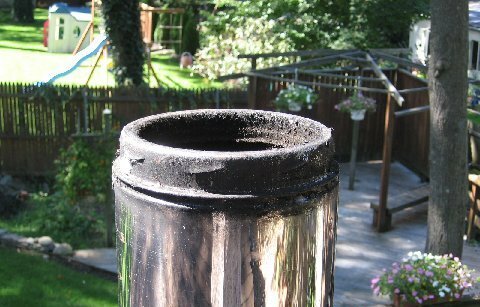 An airtight seal is essential to prevent the formation of creosote which could cause chimney fires. • Pictured here are three installations with airtight seals.